Below are other types of recharge systems that property owners have used to comply with the Article 32 Groundwater Conservation Overlay District (GCOD). Each type is site specific and was designed based upon storage capacity that is calculated during design. These are examples only. They are intended to assist the property owner (or contractor) in selecting the most efficient system. An example of a commercial use CULTEC Chamber (click here). 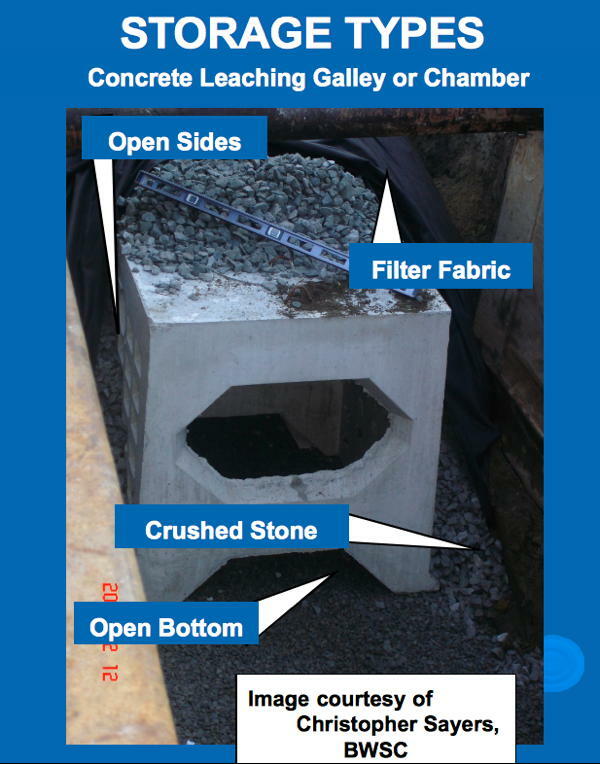 The concrete units are typically 4’ x 4’ x 4’. They are open on the sides and bottom to allow water to percolate into the soil, backfilled with crushed stone, and then covered in filter fabric (click here). 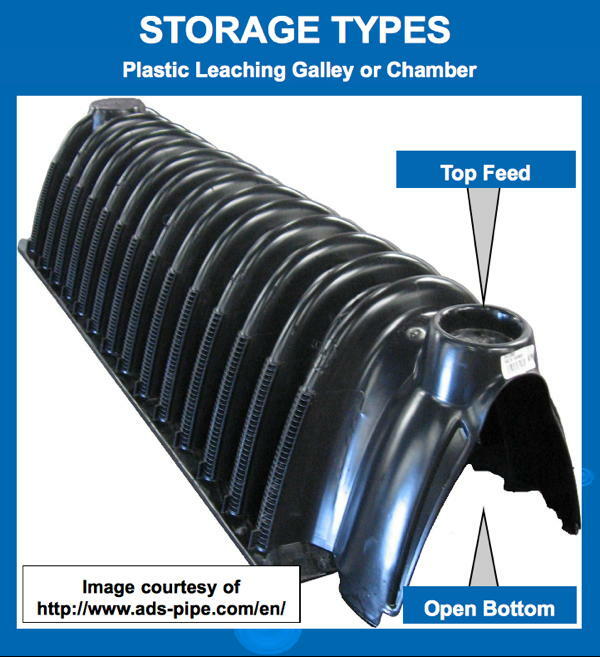 The plastic units are open bottom with feeds coming in from the top (click here). 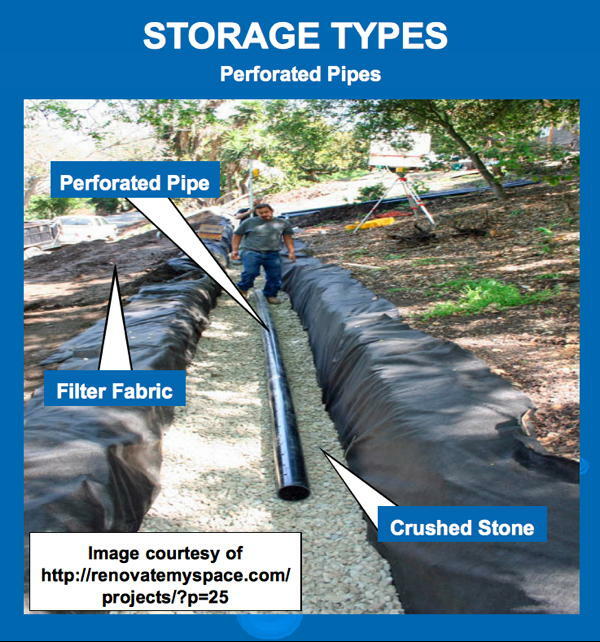 Perforated Pipes are usually placed at the bottom of a pit, backfilled with crushed stone, and wrapped in filter fabric to allow percolation of water into the pipe for leaching out (click here). 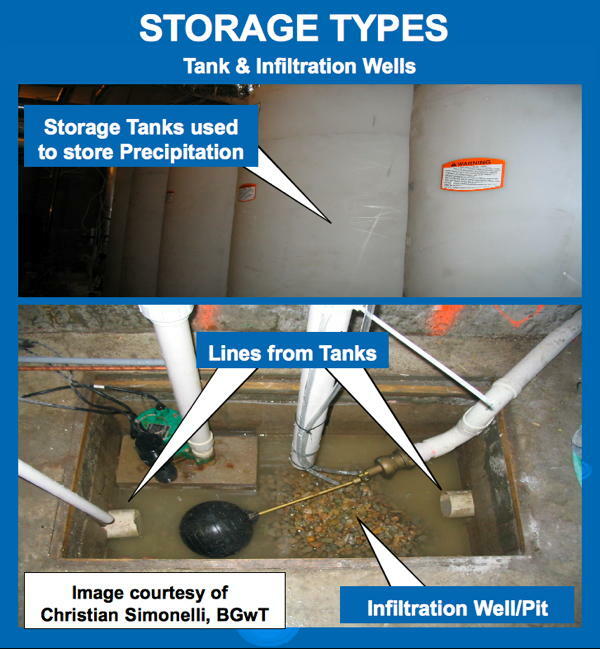 Precipitation is temporarily stored in tanks and then slowly leaches out into infiltration wells (click here).